Kispiox Valley Outfitters is located in the Skeena region of British Columbia, boasting world class mountain goat, grizzly, black bear, moose,caribou and wolf. Our vast outfitting area has drive-in and fly-in accessible camps. 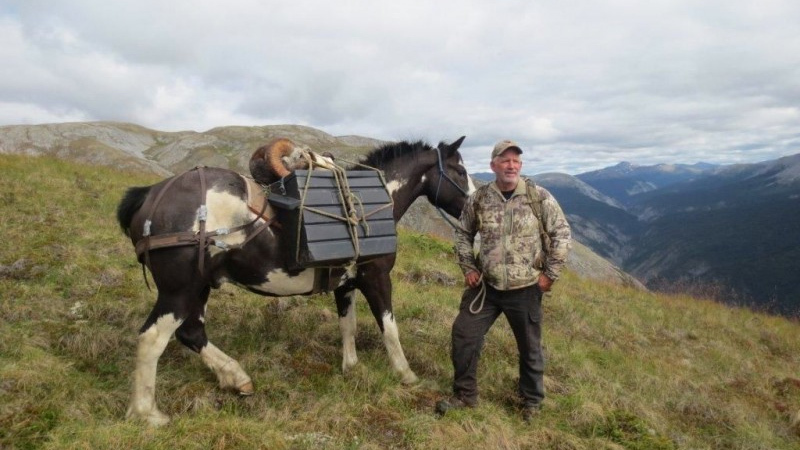 Here at KVO we hunt mostly by back pack but also offer hunts by pick-up.Our camps are clean and comfortable and are nestled in the beautiful and rugged Skeena mountain range, ideal for trophy mt. goat and grizzly bears. Everybody at KVO gives 100% and helps to make sure you have an enjoyableholiday and hopefully a successful hunt.